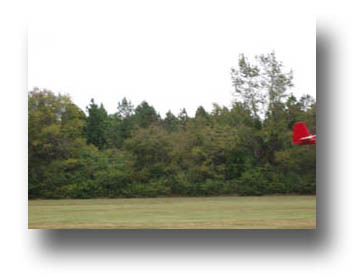 The Tennessee Valley RV Builders Group was formed in May, 1998 by several individuals who were either flying or building kit RV airplanes from Van's Aircraft. The intent of the group is to foster safety and fellowship within the group by frequently meeting to inspect the member's projects, and sharing info via email. Since the RV series of aircraft is by far the largest segment of the custom-built aircraft community, the TVRVBG has grown rapidly with most of the original member's projects now airborne. The group is based in the north Alabama area, with most projects within a fifty mile radius of Decatur (DCU). We have requests from individuals who want to join the group or host meetings who are not within the Huntsville-Decatur area. Since north Alabama is the obvious core of the TVRVBG, our events and meetings are located near the Huntsville/Decatur area in order for us to have maximum participation. However, we cordially invite RV builders or enthusiasts from any area to visit our meetings and socials either via aircraft or ground transportation. It is our goal as an enthusiast organization to offer support even to individuals located too far from our area to allow membership in the TVRVBG. Info about upcoming meetings is available on this page, and anyone located anywhere is always welcome at our events as a valued guest. For builders outside our area who have an interest in being associated with a builders group, we encourage you to start your own group; it will be more beneficial and fun than you can imagine! Anyone in the North Alabama area who is either interested in the RV series of aircraft or has a project underway is invited to be associated with the group. Inquiries concerning the group group can be directed here or here. As a general rule, the group meets on the third Thursday of the month several times a year at various members' shops. If you wish to host a TVRVBG meeting, or need more info about a meeting, please contact the TVRVBG. First flights are always special. This has to be one of the best first-flight photos ever....taken by Dave Edgemon's wife as she for the first time witnessed how quickly those little RV's (RV-9A) get off the ground! In mid-1997, there were few RV aircraft flying in the area surrounding Huntsville and Decatur, Alabama. My exposure to RVs was limited to the RV-4 being built by Mark Spry, the RV-6A being flown by Bob Butler, and the very few RVs I had casually inspected at Sun-N-Fun. As it turns out, there was a group of builders in the Florence area who became charter members of the TVRVBG. I found Mark's RV-4 to be intriguing because unlike many kit aircraft, it appeared to be a "real plane". When Bob began zooming around the pattern at DCU in his NASA-colored RV-6A, it was readily apparent to me that the RV aircraft were very capable planes indeed. What really put me over the edge was the decision by fellow J-3 Cub partner Robin Hunt to begin construction on an RV-8. Having Mark, Bob, and Robin working on RVs was more than I could stand, so the emp kit of my RV-6 arrived in October, 1997. At that time, I was told that the north Alabama RV gurus were a couple of gents in Russellville who were EAA Technical Counselors by the name of Alex Sloan and Jerry McCollister. Jerry and Alex were instrumental in guiding several of us who were building RVs in the late 1990's. I don't recall exactly how it came about, but word came via Bob and possibly others that an RV-6 builder in Huntsville named Ed Seigler wanted to assemble a few aircraft builders so a very informal support group could be formed for kit aircraft builders. 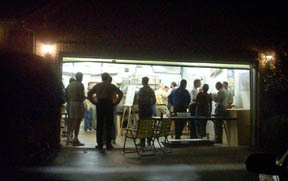 On a pleasant evening in May, 1998, 12-15 individuals gathered in Ed's garage located at the foot of Green Mountain to check out his RV project which was at the wing fabrication stage. I recall Mark, Bob, Robin, Alex, and I think Jerry being at the meeting in addition to some acquaintances of Ed from EAA 190 at Moontown airport. As far as I recall, the only RV pilots at the meeting were Bob, Alex, and Jerry. Mark's RV-4 would not fly until a couple of months later. Other builders who were active at that time included Billy Baggett (RV-6A), Robby Boyette (RV-8), Chuck Silverstein (RV-6A) and Kevin Belue (RV-6A). Ed introduced the user group as a response to his difficulty in gaining first-hand RV-specific builder assistance from local sources. 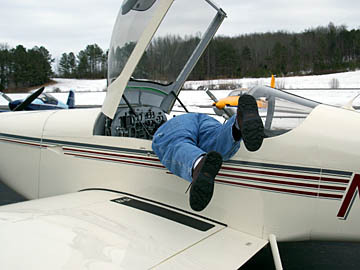 While the local EAA chapters had various aircraft represented, there were precious few individuals who could actually provide "been there, done that" information specifically for RVs. The early meetings of the group were openly directed toward builders of all aircraft, but the center of focus quickly became the RV series of aircraft primarily because it became apparent that most of the aircraft being built in the Huntsville area were RVs. That meeting in Ed's garage was so well received that Ed insisted we plan another meeting the following month. For the life of me, I cannot recall where that second meeting occurred but it too may have been in Ed's garage (the September meeting was at Jeff Crabb's garage, RV-6A QB, and the October meeting was at my shop). When word spread that an RV group was meeting, it was discovered that other people were building RVs in the north Alabama area who were unaware there were fellow builders nearby. The attendance at group meetings quickly swelled as it became apparent that north Alabama was about to hatch a bunch of RV projects! No doubt the favorable economic environment coupled with the high-tech community in Huntsville fostered rapid growth of RV projects. But a major factor that contributed to the growth of the group was the internet; never before had it been possible to disseminate textual and photographic information about a user group instantly to an unlimited number of readers. The traditional printed, mailed newsletter was rendered obsolete and the RV group rigorously rode the internet wave. Once the group was on its feet, a primary topic of discussion was how we could eventually form an organization of RV pilots and planes so it would be possible to get as many as four or five RVs gathered at the same place at the same time. Imagine, nearly half a dozen of our kit-built planes gathered at a fly-in as a flight! At no time did any of us imagine the explosive growth the group would experience wherein five short years would bring sixty little stubby-winged RVs and projects into the flock. The RV group, eventually known as the Tennessee Valley RV Builders Group, (there was discussion at one point about called our group the "Chicken Wing" of Vans Air Force!) in this writer's opinion, has enjoyed phenomenal growth due to the quality of individuals populating the group. The TVRVBG is an immensely talented bunch of RV builders with just enough craziness in the mix to keep things entertaining. 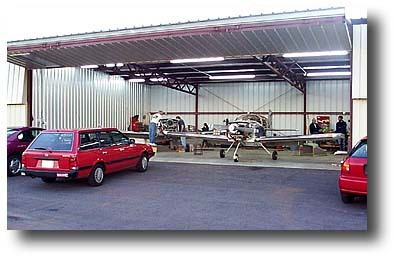 Absent is the political and organizational posturing and maneuvering that sometimes handicaps user groups; instead, the focus of the group has been centered on assisting current builders, introducing prospective builders to RV aircraft, and sharing relevant information that enables all of us to enjoy our projects whether they be in the garage or at the airport. I must admit I heard grumbling (and even a bit of open hostility) from a few EAA chapter members wherein the TVRVBG was accused of "splitting off" from EAA chapters. These comments were the result of misinformed opinions where the individual did not understand the intent and purpose of the group. It has been this writer's experience that TVRVBG members have not ever wished ill for a particular EAA chapter; the intent of the group has merely been to provide specific guidance for RV builders that was unobtainable via conventional local EAA avenues. In fact, numerous local EAA events have been enhanced by the attendance of a flight of TVRVBG planes, and as the TVRVBG flying population expands, this positive influence will be felt in ever widening circles. To their credit, the EAA grumblers eventually became TVRVBG supporters once they understood the purpose and value of the group.